What good is a dull backyard? You're paying to own it, why not put it to good use? If you have a mature home garden fitted with attractive features, why not update it with stylish design features that are popular today? You can hire landscaping contractors to install a beautiful home garden you can enjoy every day and share with friends, too. Before you do this, though, take inspiration from these 6 popular design trends landscapers are seeing in 2017. The Fireside Lounge - For the feeling of a beach bonfire or intimate campsite right at home, homeowners are installing fire pits and surrounding them with comfortable seating, natural rock-inspired hardscaping, and lush plants that give the fire pit a sense of privacy. Bold Color - Natural, rustic looks are becoming increasingly common, but a modern use of color still prevails. Home gardens in 2017 include bold color choices, often limited to 1 or 2 dominant colors that pop out of the landscape, rather than a mix of floral palettes. Native Gardens - Landscaping in Roswell means something different than landscaping in Cape Cod, and homeowners are more aware of this than ever, which is why homeowners are reverting to natural, sustainable garden designs. Instead of having to over-water demanding plants and nurturing fussy grass, homeowners are planting hardy prairie grasses and native plants that thrive off rainfall. Lush and Lively - The manicured suburban garden cut to precision with craft scissors is a thing of the past. Instead of looking perfect for the neighbors, homeowners are craving authenticity and personality in their gardens. Unique features like an artfully designed water garden and suspended swings anchor backyards dominated by playful vines, loose stone, and sprawling trees. Fitness-Ready Gardens - Fitness is fun, and youthful gardeners are allowing themselves room to play right at home. Water gardens with trickling waterfalls make the perfect backdrop for home yoga practice, swimming, and other popular exercise. You can even install a sand pit for beach volleyball or install a gravel trail to jog through your home garden--provided you have the space to enjoy it. Transitional Style - Old-fashioned gardens are things of the past, and unfortunately, the ultra-modern, geometric yard is also becoming passé. Transitional style includes the best aspects of old and new, like found and restored antiques on a minimalist porch that features natural textures over busy decor. You might install large potted plants in old-fashioned pots, but make them slightly contemporary by arranging them in a precise, grid-like pattern. Before you pursue professional garden design in Roswell and transform your home garden, consider how these 6 hot trends can inspire your yard remodel. 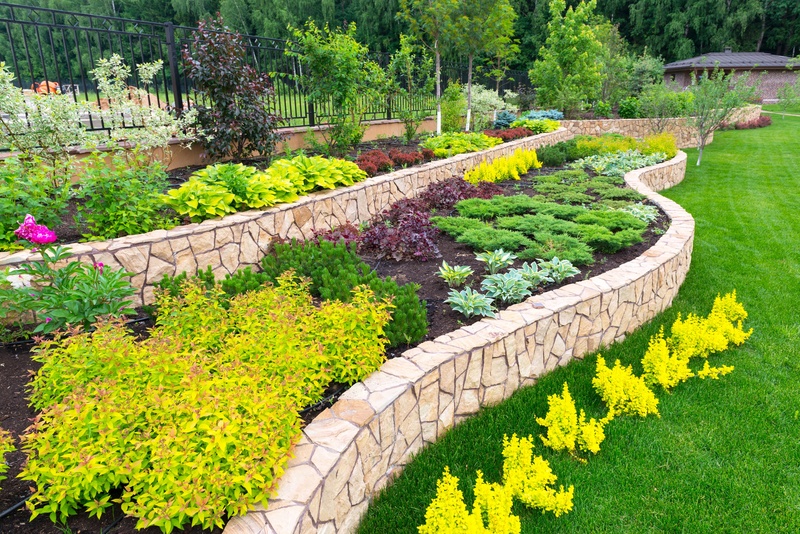 Keep in mind that a landscaper can help you design your new garden as well as implement your dream scheme.